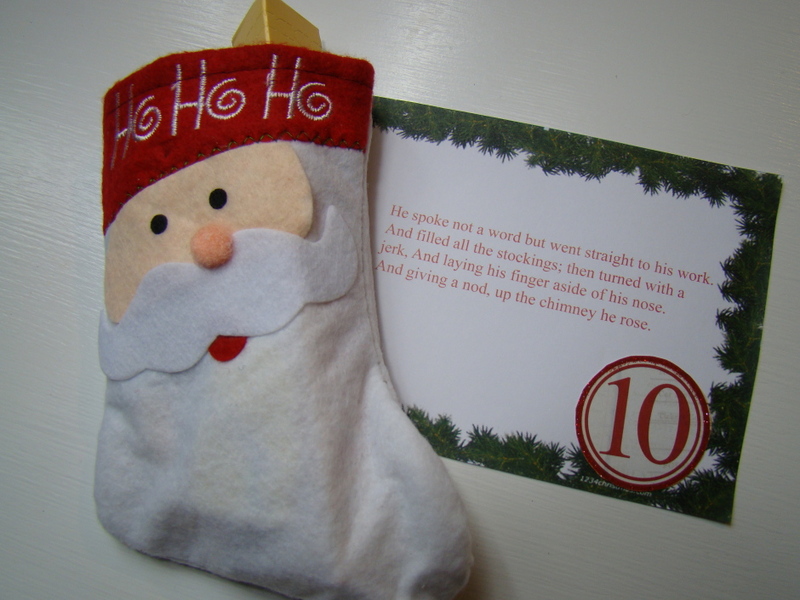 The tenth gift was a little stocking filled with all kinds of treats. 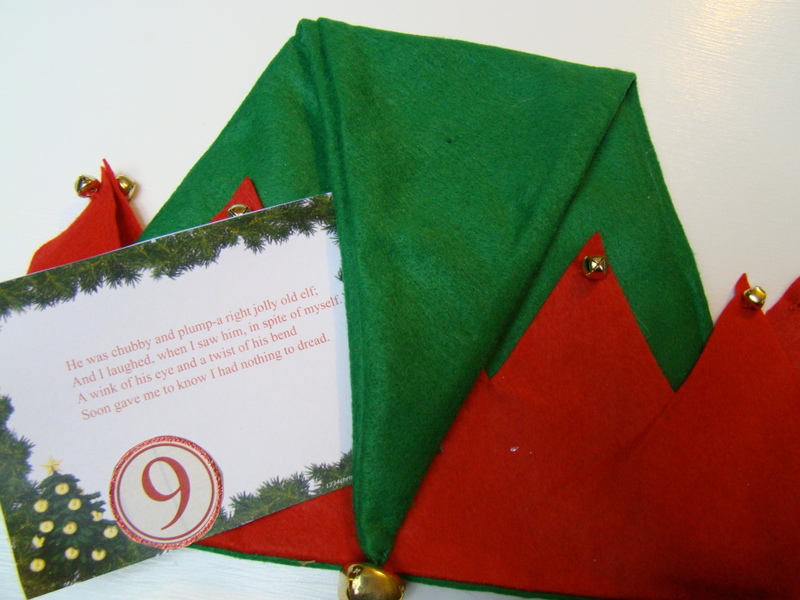 The ninth gift was an elf hat. Now who would not want their own elf hat to spread Christmas cheer? 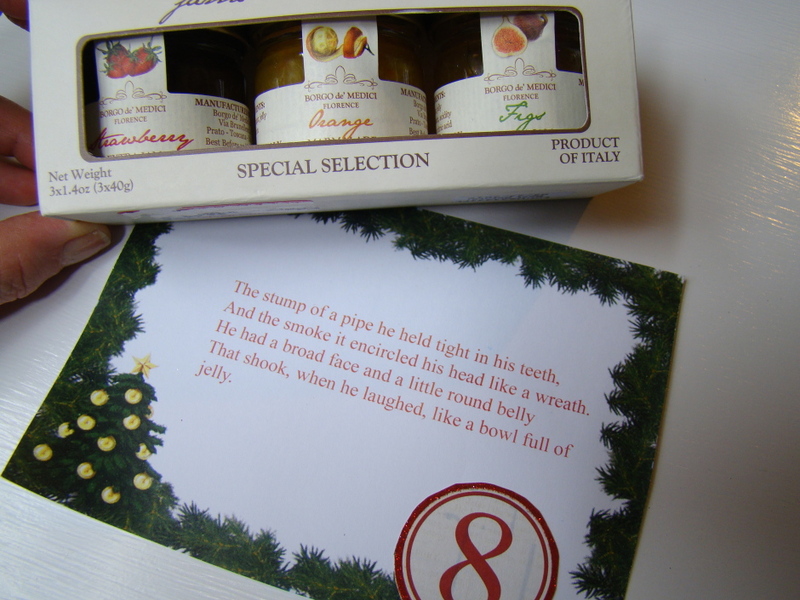 The eighth gift was three little jars of jelly. They should come in handy Christmas morning to spread on hot biscuits. 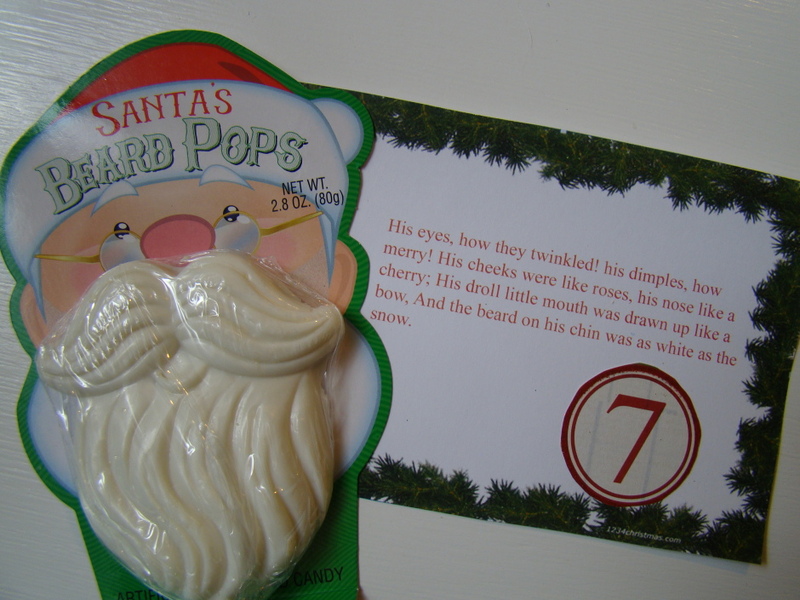 The seventh gift was a white chocolate Santa beard I found at Dollar Tree. It is pictured on a card showing his nose like a cherry. 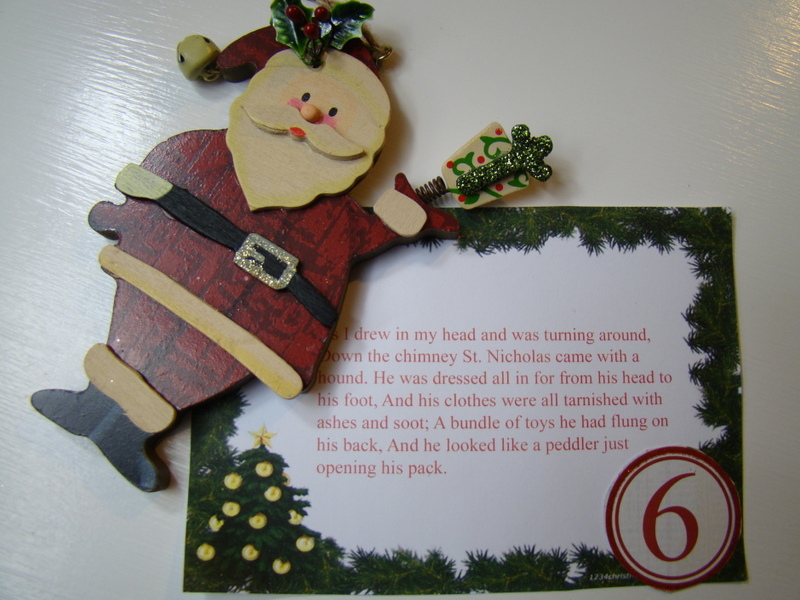 The sixth gift was a Santa ornament to hang on their tree.